Iphone, Blackberry, what is it?? 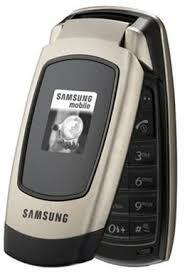 For me... Just a generic non-slide, non-flip phone, it's just open face, and has a camera on it... I'm a basic guy, and I love it..
Whats your phone of choice? hmmm, I would probably have to say the Palm Pre personally. The ONLY complaint I have about it is the small keyboard. I have played with all major smart phones...iPhone, BlackBerry, Android Devices...all are nice and done essentially the same thing. It just depends on what you are looking for, I think WebOS is the best phone OS out there...with Google coming strong with Android. I don't have a so-called Android phone yet but I have an Itouch, I'd say that my favorite are those Android Phones with a cool design and camera and touch screen. Right now I think my favorite phone design is the Iphones' (or Itouches'), slim and with shiny Ipod steel behind. It has no camera, small amount of memory space (that's the only negative thing for me). I do have an iPod Touch 16GB which isn't a phone, but it does quite a lot that the iPhone does. Nice, I also have an Itouch but with 32GB and it's 2nd Gen. For people that don't want to get an Iphone because it's expensive they can get the Itouch because it's not as expensive and it has most of the functions that the Iphone has and for calling you could just get a normal phone. P.S. It's quieter than the Iphone but therefore it doesn't have the ugly speakers in front. Last edited by marksman_sniper; 11-24-2009 at 05:00 AM. my favorite black berry phone. A telephone. You know, like the kind connected to a wall.